Government increasingly has to prioritise funds for immediate concerns (such as Eskom), so money for savings incentives may need to wait in line. 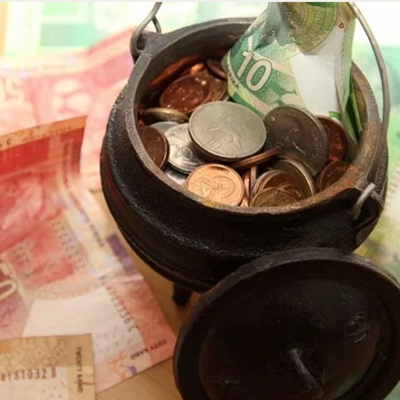 BUSINESS NEWS - Almost four years have passed since National Treasury introduced tax-free savings accounts (TFSAs) to improve South Africa’s dismal savings rate. The accounts provide a tax-free wrapper that investors can use for investments in various asset classes by opening accounts with banks, asset managers, life insurers and stockbrokers. Currently, individuals can invest up to R33 000 per annum in one or more TFSAs (collectively) up to a maximum of R500 000 over their lifetime. The investment returns are completely tax-free. When TFSAs were introduced on March 1, 2015, Treasury stopped adjusting the annual interest exemption (R23 800 for people younger than 65; R34 500 for those 65 and older) in line with inflation every year. In this way, the incentive would be revenue neutral. The tax revenue the fiscus would ‘lose’ by offering TFSAs would be ‘gained’ by not increasing the interest exemption. The intention was that the annual limits should be increased on a regular basis for the impact of inflation, but that the lifetime limit would remain static – at least in the short term. On March 1, 2017, Treasury increased the annual limit from R30 000 to R33 000. The question is whether it will do so again this year, or whether fiscal constraints make it unlikely? Unfortunately, significant pressure on state finances means that government increasingly prioritises funds for immediate concerns (such as Eskom) and that money for savings incentives may need to wait in line. Denver Keswell, senior legal advisor at Nedgroup Investments, says as much as they would like to see an increase in the contribution limits, there has not been any indication that it will happen this year. Read more here on Moneyweb.